All clutter needs to be broken down into manageable chunks. If this is the way it is – we need to break it down into manageable chunks and that is one thing I am very good at. Even if you cannot get to see me right now, book a phone consultation and I’ll talk you through the preliminaries. 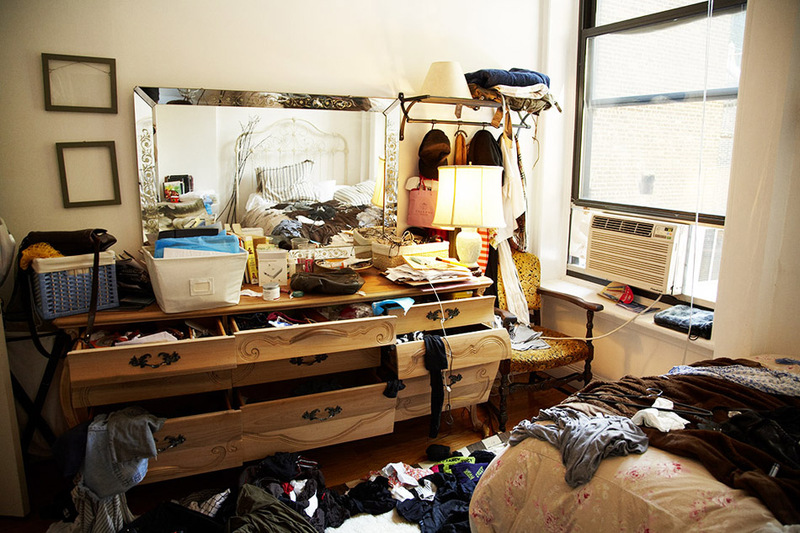 Because of my experience – sometimes I have had to face up to 12 wardrobes full of clothes and a room that looked like a war zone too – I can help you get even a little organised, so that you can begin to see daylight again. Two things I can promise you – I won’t judge, I’ll just help you as much as I can and if you begin to follow what I teach, you will not find yourself overwhelmed again. Imagine a very organised wardrobe, with plenty of clothes all co-ordinating and interchangeable and everything you buy from now on, connected in some way with what you have already. That’s what I teach people to do. It’s just great, when they are willing to make the effort. In fact it’s kind of lifechanging in some way.